Great Easter gift for your little ones! Looking for the perfect educational gift for your little ones? This little match game is perfect! 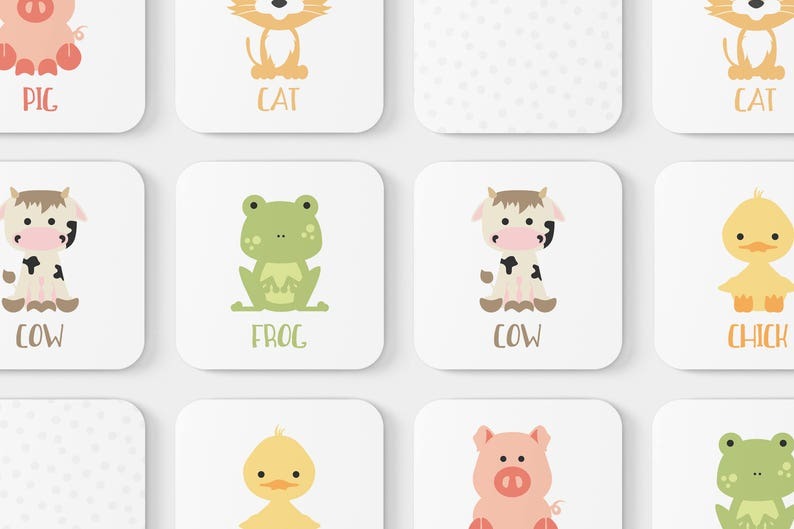 Challenge your memory with this fun set of animal memory game cards. It's fun for preschoolers of all ages and ideal for ages 1 to 6. Cards are 2.56" x 2.56" and printed on coated card stock to stand up to toddler slobbers. They arrive in a durable linen burlap bag for safe keeping. Your order can be gift wrapped in a box with a bow for an additional fee (available at checkout). - If you don't, flip the cards back over and try to remember where they were! Thanks for checking out my shop! This memory game is adorable! We love spending time together learning the animals and matching them up! The cards are such a high quality material as well! Can't wait to get another set! 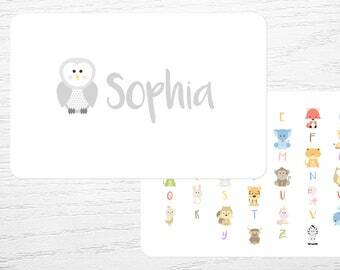 Cards are adorable and very sturdy, which I love because I purchased them for my two year old! Seller was very responsive and helpful! !